A tropical paradise awaits at Hilton Rose Hall Resort and Spa which is nestled between the scenic mountains and turquoise Caribbean waters of Jamaica. This beachfront location set on the legendary 18th-century Rose Hall tropical estate, evokes the colorful charm and hospitality made famous by the island. Discover redefined hotel rooms and suites at Hilton Rose Hall Resort and Spa that features a sense of warmth and tradition blended with modern comforts including your own private balcony or terrace. 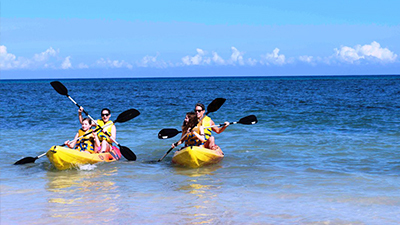 Set on the longest beach in Jamaica, be dazzled a wide variety of fun water sports. From wind surfing, sailing, fishing, kayaking to scuba activities available. You’ll certainly want to make a stop by the massive Sugar Mill Falls Water Park complex which is the second largest in the Caribbean. 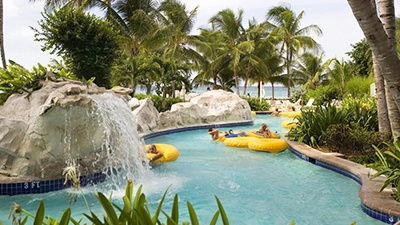 Navigate through cascading waterfalls, experience the thrill of a 280-foot slide or drift on the lazy river at Hilton Rose Hall Resort and Spa. 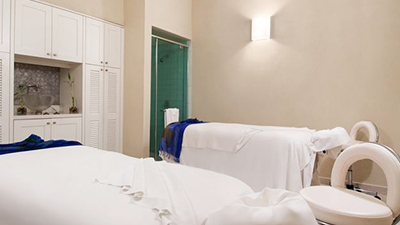 Take some time out and enjoy some treatments at the Radiant Spa. Indulge in exotic seaside, modern or historical settings for your unique spa experience. 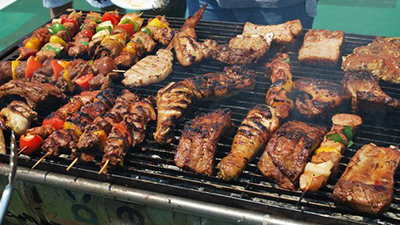 When it comes to dining, select from a delightful array of savory restaurants, bars and grills. Come down for relaxation, have fun while here, go home rejuvenated and feeling like a whole new person at the Hilton Rose Hall Resort and Spa. 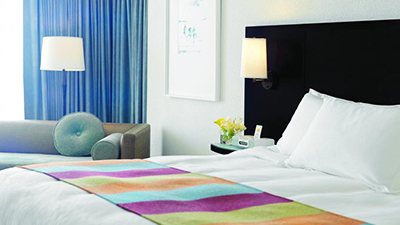 These comfortable Resort View guestrooms are situated amongst landscaped courtyards and lawns. 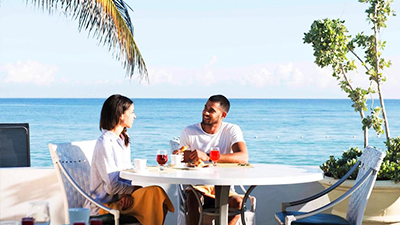 Offering warm hospitality blended with Jamaican charm, these accommodations provide a host of thoughtful amenities to enjoy. 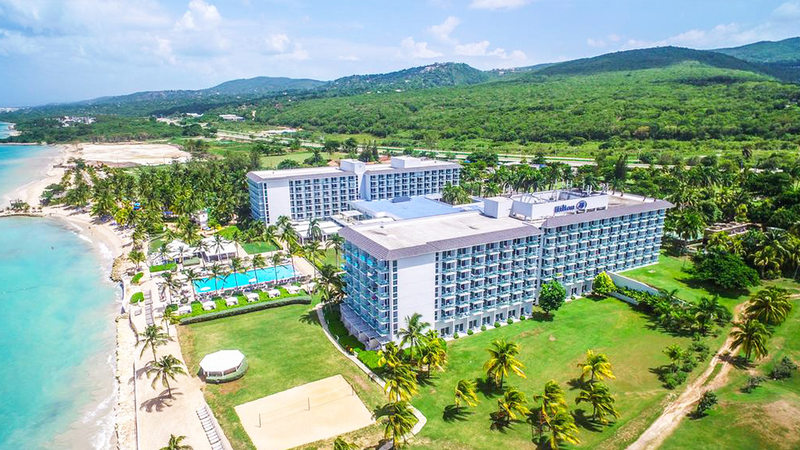 These airy accommodations artfully showcase our resort’s oceanfront surroundings, including the world-class Cinnamon Hill Golf Course or the majestic Jamaican Blue Mountains. Indoors, take pleasure in a cozy, fashionable sitting area. 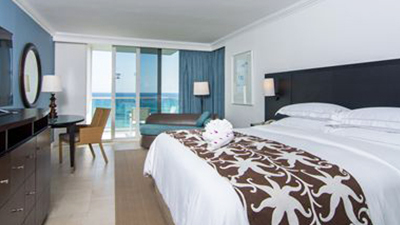 These vibrant Ocean Front View guestrooms enchant with unforgettable views of the crystal blue Caribbean Sea from your private balcony, and feature thoughtful, elegant touches to ensure a restful stay. 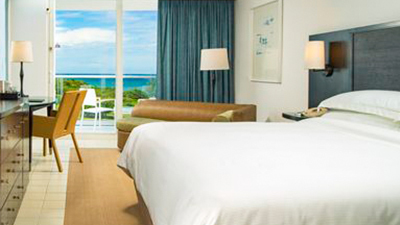 Indoor meets outdoor as floor-to-ceiling windows frame handsome vistas showcasing the natural essence of our picturesque island. 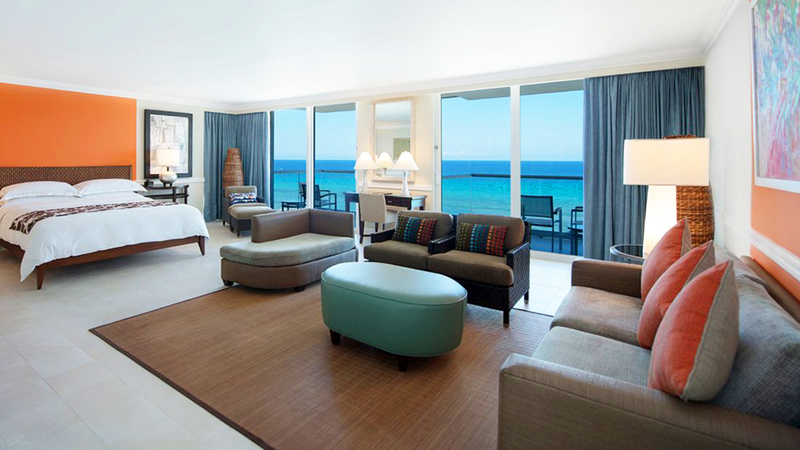 These contemporary and thoughtfully appointed suites consist of a spacious master bedroom, a parlor with bathroom, and a private balcony overlooking the stunning Caribbean Sea. Offering unmatched beauty indoors and out, these restful accommodations are perfect for those seeking extra space with striking views. Each luxurious suite consists of a master bedroom with private balcony, a parlor with bathroom, a full-sized dining room area and a pantry with refrigerator and bar. Two additional interconnecting bedrooms are also available. This one-of-a-kind luxurious suite features a spacious master bedroom with private balcony, an oversized parlor with sitting and dining areas, two bathrooms and powder rooms, and a kitchen and bar. 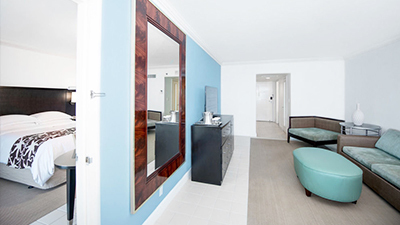 The suite can also interconnect with three additional bedrooms. Nestled between the lush Jamaican mountains and crystal-blue Caribbean waters, Hilton Rose Hall Resort & Spa welcomes you to the signature Radiant Spa – a luxurious oasis offering an unparalleled spa experience. Honoring the proud legacy of Jamaican hospitality and island life with a fresh flair, all of the wellness treatments are custom-designed with indigenous elements from the surrounding land and sea. Relax and renew with one of the indulgent and rejuvenating treatments within truly incomparable and memorable locales. Discover the most exhilarating water complex in Jamaica – and the second largest in the Caribbean –Sugar Mill Falls Water Park. Navigate through cascading waterfalls. Experience the thrill of a 280-foot slide. Relax along the lagoons. Drift on the lazy river with inner tubes. Lounge in one of three terraced pools. Kids will thoroughly enjoy the jungle garden – complete with a rope-and-wood suspension bridge, faux rock formations and replicas of the aqueducts of the former Rose Hall tropical estate. As a member of the Rose Hall Golf Association, this resort offers guests exclusive access to 54-holes of the finest championship golf in the Caribbean. 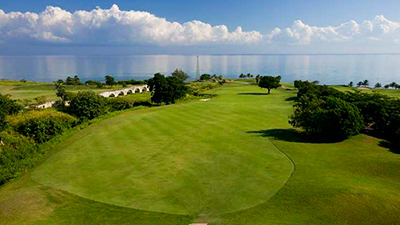 Along with the onsite, championship Cinnamon Hill Golf Course , as a guest, you are invited to tee off at White Witch and Half Moon – testing your skills with the best golf along the northern coast of Jamaica. 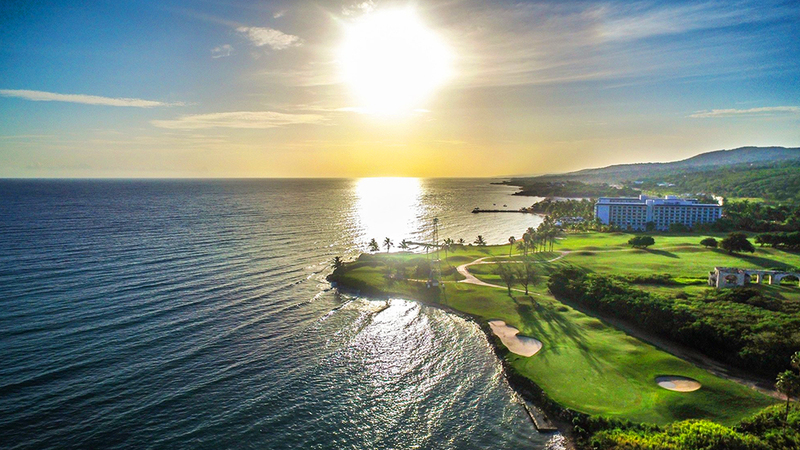 Uncover the perfect Caribbean golf getaway at any of these three unique courses. With the year-round temperate climate, Jamaica provides the perfect haven to enjoy the sport of kings. Rally with a partner on one of the six courts. Delight in the daily play at no charge. 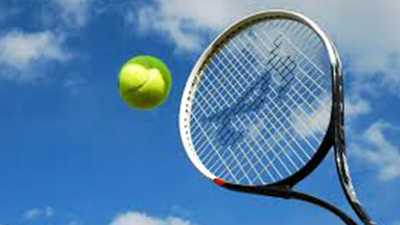 Take pleasure in the ideal environment for tennis players of all levels. 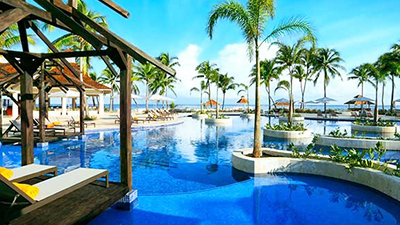 Get some pool-time in and just relax under the beautiful Jamaican sun. 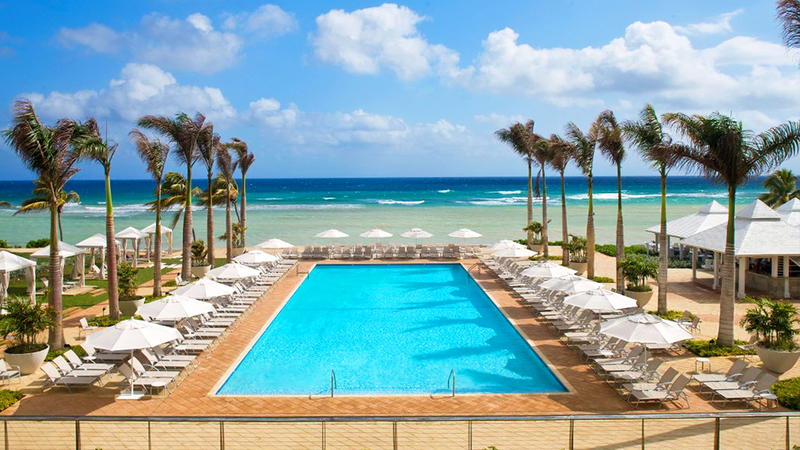 Delight yourself in the striking, oceanfront main pool. You can lounge in one of the deluxe cabanas while sipping a frozen drink that was brought to you by your personal Poolside Concierge. 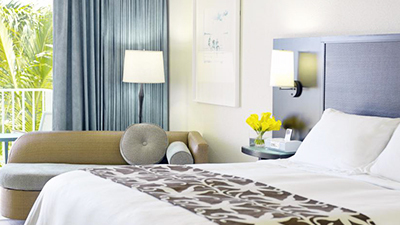 Immerse yourself in peaceful solitude or time spent with the entire family. Uncover a world of adventure with a vibrant array of water sports. Spend a day at the beach and enjoy all of the fun activities available at your fingertips. Wind surfing, sailing, fishing, kayaking, swimming and boast tours are just some of the fun things to do. Take pleasure in the easy access to a large selection of exhilarating activities from scuba diving, snorkeling, parasailing or take part in motorized water sports like tubing or water skiing. 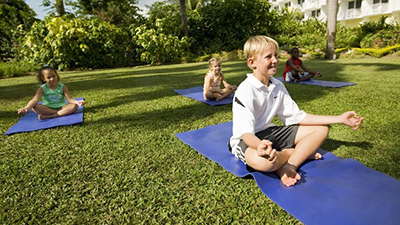 Spanning 400 lush, tropical acres, this enticing all-inclusive family resort offers something for kids of all ages. Spend the day in the ocean. Experience exhilarating adventure in the thrilling Sugar Mill Falls Water Park. Or, glide down the lazy river in an inner tube. Take a breathtaking plunge down the 280-foot thrill slide. For older kids to be entertained, find a fun filed atmosphere at the Teen Zone. 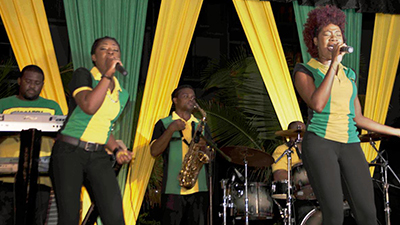 Enjoy a variety of entertainment at Hilton Rose Hall. Don’t miss the upbeat nighttime music and shows. Make a trip to the Cricket Club. This late-night option features pool and karaoke nights, as well as music and space to lounge and relax. After the sun goes down and daytime fun ends, enjoy live music and nightlife right on site. Enjoy delicious breakfast, lunch and dinner at our marketplace with action stations, overlooking the glistening Caribbean Sea. 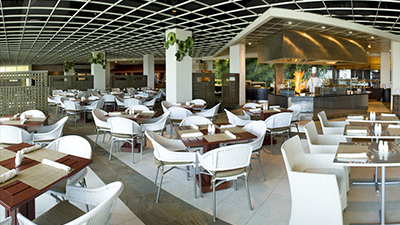 Offering a variety of cuisines in a casual atmosphere, meals at Fresh are occasions to be remembered. 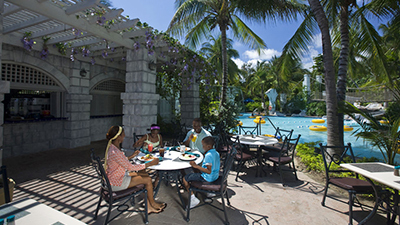 Delight in dining with the entire family or with a special someone with no reservation required. Nightly live entertainment accompanied by pleasing features for all diners. Indulge in sumptuous Northern Italian cuisine accompanied by an extensive wine list at Luna Di Mare. Enjoy the intimate atmosphere while you sip a marvelously smooth vintage. Sample delicious dishes artfully created with the freshest ingredients. Take pleasure in an unforgettable dining experience with delightful features. 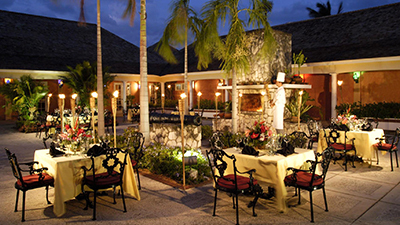 Spend the evening enjoying fine dining at Three Palms Restaurant. With stunning views of the golf course, this exceptional eatery offers an ideal setting to enjoy an intimate meal for two, or a special occasion with the entire family. 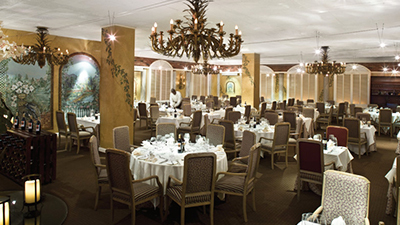 Delight in a dining experience sure to become an affair to remember. 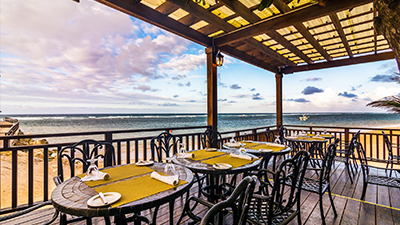 Soak in refreshing offshore breezes and spectacular views of crystal-blue Caribbean Sea, while dining on delicious Caribbean-inspired cuisine. While spending the day at Sugar Mill Falls Water Park , satisfy your hunger – and thirst! – at the delightful outdoor lunch spot Mangoes. Featuring a menu of salads, burgers, and sandwiches, this casual spot offers tasty dishes with a delicious Jamaican influence and tropical drink favorites. Moonstone di mare serves delicious Italian food that will make you feel like you’re in the Mediterranean with every bite. Guests will enjoy Italian favorites like pizzas, seafood pastas, flatbreads and soups for a truly authentic Italian experience. 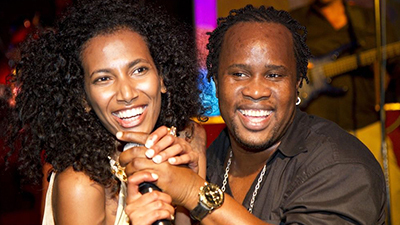 Evening disco with DJ, sports, karaoke, pool billiards and plenty or reggae music. Another example of culinary diversity and cuisine at Hilton Rose Hall Resort & Spa. Located at Moonstone it serves melt in your mouth Jamaica style BBQ for dinner. 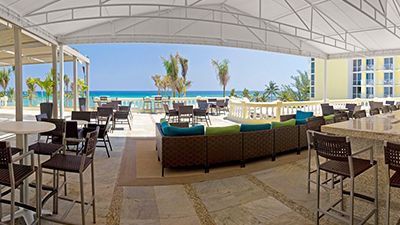 A hip lobby bar overlooking the Caribbean Sea. Enjoy one of our famous rum cocktails. 1. BICYCLE TOUR OF JAMAICA’S BLUE MOUNTAINS – Enjoy a bicycle tour in Jamaica’s longest mountain range, the Blue Mountains. The Blue Mountain Bicycle Tours will certainly be the highlight of your vacation. This tour entails a very relaxing drive to the Blue Mountains then breakfast and lunch. Then experience the thrill of biking down the mountain (about 12 miles) and swimming in the Blue Mountain mystic pool. 1. RIVER RAPIDS ADVENTURES — Get your adventure on and take a Jamaica river-rafting adventure on the Rio Bueno through River Rapids Adventures. Take in the tropical scenery while on your river-rafting adventure cruising down the Rio Bueno. Experience the rapids and get your adrenaline flowing, but don’t worry you will have a professional guide to be sure your safety is top priority. 2. 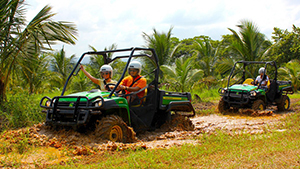 ATV OFF-ROAD ADVENTURE— The next adventure on our best things to do in Montego Bay list is a Jamaican ATV off-Road Adventure through Chukka. This two hour ATV safari tour starts in Montego Bay and ends in Negril. Along the way you will explore Jamaica’s breathtaking countryside. 3. NINE MILE — What trip to Jamaica would be complete without visiting Nine Mile, the village where the famous Bob Marley once lived? Visit Marley’s birthplace, his house growing up and even see his final resting place in this journey through history and Marley’s life. Keep your ears open because there is a lot to learn about the famous musician that can only be learned by this amazing tour. 4. GALLERY AND GARDEN — The Ahhh…Ras Natango Gallery and Garden is situated in the mountain overlooking the city of Montego Bay being 2000 feet above sea level. It is an environmentalists paradise that encompasses a botanical garden, themed fantasy gardens, a bird sanctuary and other natural wonders. With a most spectacular and panoramic view of the city. 5. 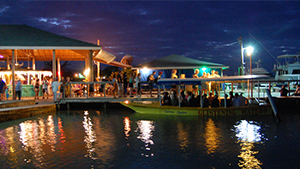 LUMINOUS LAGOON NIGHT CRUISE — Visiting Jamaica with your lover, then you have to book a night on the Luminous Lagoon Night Cruise. Cruise around the glowing lagoon at night with your loved one and your personal guide; even take a time out to take a swim in the beautiful illuminated water. Romance and education as to why the lagoon glows, talk about a night to remember. 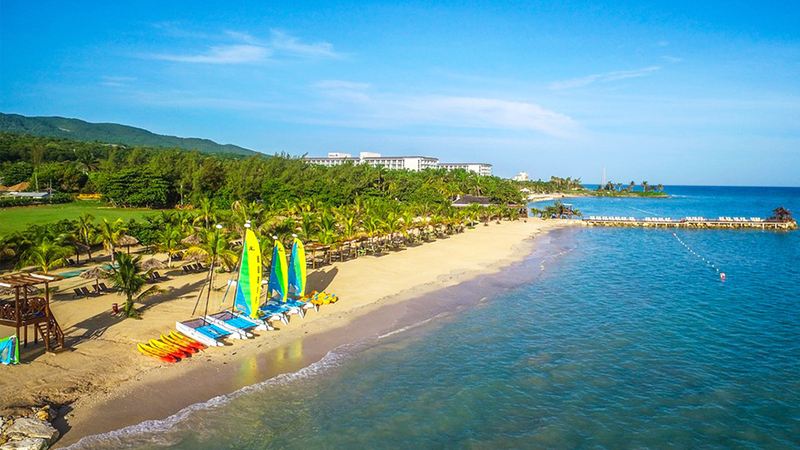 Hilton Rose Hall Resort and Spa sits on a picturesque beachfront hotel location on the historic Rose Hall Plantation, with a majestic mountains as a backdrop. 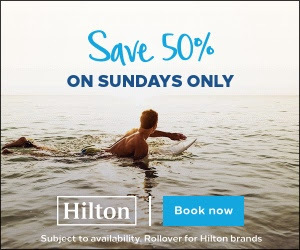 Hilton Rose Hall Resort and Spa includes a private beach with water sports center and Sugar Mill Falls Water Park, one of the most spectacular water parks in the Caribbean. Hilton Rose Hall Resort and Spa is also a fabulous location for golf. Play a round at the championship 18 hole Cinnamon Hill Golf Course or rejuvenate in 60 or 90 minutes of pure bliss at the Radiant Spa. 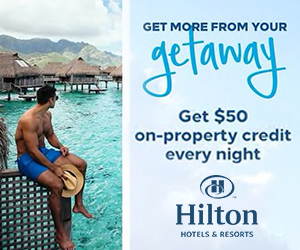 The Hilton Rose Hall Resort and Spa will deliver a vacation that you’ve been dreaming about for a long time.